Lucid dreaming is like living in a virtual world where you are the lawmaker, and the things work as per your wish. Although this all is happening in a dream yet, there is no difference between a real world scene and a lucid dream. During a full night sleep, our brain induces dreaming many times a night. Most of the times, it is a passive activity, and you are almost unconscious about your dream and have no control over it. But here comes the lucid dreaming. It is an art of staying conscious even if you are asleep and dreaming. With greater consciousness, you get greater ability to not only experience your dreams but also control and shape them. In a lucid dream, you can call characters, harness supernatural powers, visit different planets, fly through space, etc. Your creativity is the limit. Keep a dream journal and write your desired dream in detail. Be sure and write down each possible detail of your desired dream. Now, rehearse your dream every night before going to sleep. Eventually, you will start seeing tids and bits of your journal in your dreams. Make a habit of analyzing your dream as a first thing in the morning, immediately after you wake up. Write in your journal each character, object, environment, or whatever you saw in your dream last night. Analyze it carefully and check if there is a particular pattern. It could be anything, such as an object, a place or a person, etc. that is repeatedly appearing in your dream. As you know, it is hard to distinguish between a real world scene and a lucid dream, this recurring object will help you distinguish between if you see things in real life or you are in a dream. Once you have performed the above steps for at least 2-3 weeks, it is time to apply the actual lucid dreaming techniques. Remember, don't jump technique to technique or you won't get any result. Just stick to one and master it with practice. Best lucid dreaming techniques. Wake Back To Bed (WBTB): It is the simplest technique and easiest to master. All you have to do is to set an alarm 5 hours after you sleep, stay awake for 25-30 minutes, rehearse your dream, and go back to sleep chanting “I am dreaming”, “I am dreaming” until you fell asleep. Do this 2-3 times a week, and eventually, you will start lucid dreaming. Mnemonic Induction of Lucid Dreaming: It is a little tougher to master this technique. The entire process is same as WBTB technique. The difference is that instead of rehearsing a dream from your journal, you repeat the very last dream you remember on waking up. It takes the time to master as it is hard to remember your last dream vividly. Wake Initiated Lucid Dreaming: This is the toughest of all techniques. You wake up but don't leave the bed and don't stay awake. Immediately, after waking up, you start visualizing a dream of your choice until you are asleep again. The visualization should be highly vivid. The more vividly you imagine the greater are the chances that you can induce lucidity. 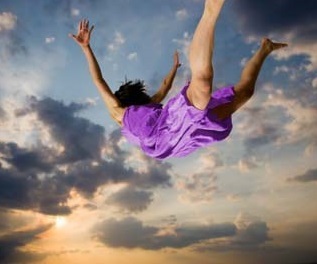 Lucid dreaming is fun and a great spiritual practice. Although it is safe for most people, yet I must warn you of a few caveats. Lucidity is an overwhelming experience, and it requires mental toughness to develop tolerance towards lucidity. So don't shirk work and give yourself enough time to get mentally and physically prepared. It is enticing to skip the steps but keep strong self-discipline and do it step by step. Before wrapping up the article, I want to make one more crucial advice. Always start with a safe and straightforward dream like flying 2 feet off the ground. Once you have mastered the art of lucid dreaming, you can take the things to extreme and experience things like flying above the clouds or through space. Wish You Luck!